Capital of China’s mysterious Inner Mongolia Autonomous Region, Hohhot is a unique and interesting destination that offers a fascinating insight into a less touched side of the nation’s culture. Nestled between the Yinshan Mountain and Yellow River, it’s blessed with stunning natural scenery that draws adventurous travellers from far and wide. 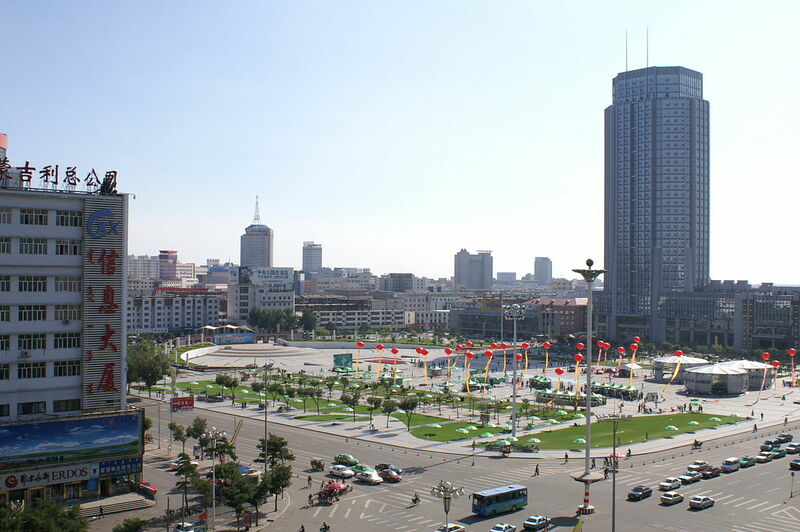 As the capital of the region, Hohhot is an important city with a large population totalling just under 3 million. It has been identified as a key focus for the government’s ‘China Western Development’ project, meaning the past few years have seen huge amounts of investment in infrastructure and the local economy. Hohhot’s bustling city centre, breath-taking natural surroundings and multi-ethnic population make it an extremely exciting ‘off-the-beaten-track’ destination to embark on a teaching adventure. A teaching placement in Hohhot will see you working for a smaller branch of one of our longest standing private school partners. Our partner organisation has been in China for several years and has built a well-established and highly respected brand. Located in a less prosperous, yet rapidly developing region, the Hohhot branch is smaller than those in more well-known Chinese cities. This makes it a great place to really get to know your colleagues and students and stand out to your employer. In Hohhot, you can expect to teach classes of no more than 15 students, spread across different age groups and abilities. High performing teachers will get the chance to progress to other roles within the business and move to work in other regions following contract expiration if desired. Working for this partner organisation, you’ll receive structured support and training before and during your contract, a net salary of up to 9,000 RMB per month, a TEFL, medical insurance, reimbursement of flight and visa fees, and regular teaching modules to help your progression. Salary level may differ depending on your experience, though as a relatively underdeveloped region of China, your salary will go a long way. Our partner organisation offers all teachers in Hohhot free accommodation within a shared apartment. Apartments are comfortable and equipped with all essential amenities, including a western-style bathroom. Should you wish to find your own accommodation, the school will help you do so, as well as provide an additional monthly living allowance to put towards the rent. Rental prices of apartments in Baotou range between 1,500 – 2,500 RMB per month, depending on location. This is optional, and all teachers will be offered free accommodation. While the city of Hohhot doesn’t boast as many attractions as some other Chinese cities, it’s surrounded by several amazing sights that aren’t to be missed. Gegentala Grassland: Situated to the north of Hohhot, this is one of the most unique and popular attractions of the Inner Mongolia region. Here you’ll enjoy a cool temperature and amazing scenery that stretches as far as the eye can see. The rich green fields are home to colourful wild flowers and flocks of sheep that add to the serene feel of the area. Depending on when you visit, you may get to see local Mongols perform traditional dances in traditional clothing, try local foods and get a true taste of the culture. Dazhao Temple: The oldest building and largest of its kind in Inner Mongolia, this is one of the regions must-see attractions. 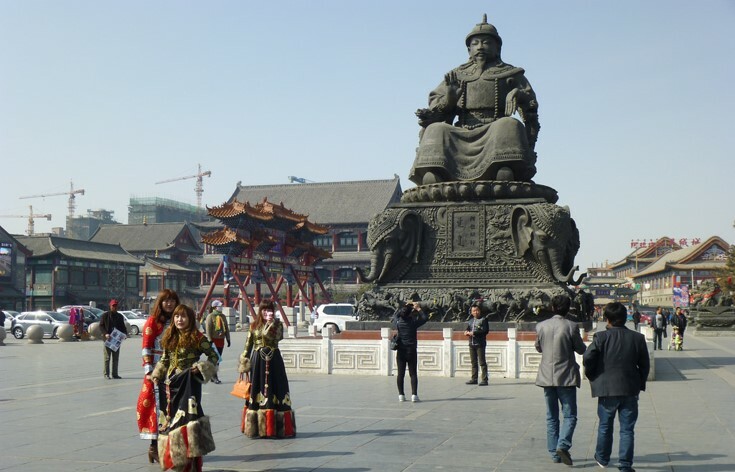 The impressive architecture and interesting history mark a stark contrast against the temples typically found in East China, giving visitors an insight into Mongol culture and religion. Five-Pagoda Temple: This striking building is vastly different to the Chinese pagodas you may have seen before. Standing 16 meters high, the base of the building sits below 5 pagodas covered in Mongolian, Tibetan and Sanskrit inscriptions. Originally built in the 1700’s, the temple no longer stands, though the pagoda remains. Zhaojun Museum: Located a short way outside of the city, this museum is known for its stunning surroundings and scenic spots. Besides being able to admire the Inner Mongolia’s unique and attractive landscape, visitors to the Zhaojun Museum will learn about the region’s history and visit the Zhaojun Tomb built to commemorate Wang Zhaojun and the Museum of Hun Culture among other things. Roasted whole sheep: owing to the complicated cooking method, this traditional dish was once only reserved for Mongolian Kings. Today however, it’s popular among locals and can be found all over. It’s made by stuffing a whole sheep with various spices and cooked in an air-tight oven at a high temperature until golden-brown. It’s then served on a huge plate and dished out to guests in order of importance. If you like lamb, it’s a must-try dish. Roasted mutton leg: deriving from the above-mentioned dish, this is essentially the same, but takes less time to prepare due to only roasting one part of the animal. It’s commonly barbecued during the warm summer evenings. Shaomai: this popular local delicacy dates back as far as the Qing Dynasty. Made using a unique preparation technique, it’s made from thin dumpling skin that’s carefully wrapped around well-seasoned minced meat to form a tasty snack. Mongolian Hotpot: Originating from the Yuan Dynasty, this is a typical Mongolian dish that consists of thinly sliced meat that’s boiled in flavoured hot pot water. The cooked meat is traditionally eaten with a flavoured paste made of pickled tofu, sesame sauce, shallot and various other ingredients, as well as vegetables and noodles. Though it isn’t one of China’s well-known megacities, Hohhot has a vibrant and appealing entertainment scene. The city is home to a handful of western style bars and clubs popular among expats, but it’s real draw is the local-style entertainment. Traditional Mongolian song and dance shows frequently take place across the city, and many even allow the audience to get involved! Venture out to the grasslands during the evening, and you’ll have the chance to stay in a ger and join bonfire parties at which the locals enjoy various activities ranging from performances to sports competitions. Interested in teaching English in Hohhot? Check out our Private School Teaching Programme, or apply now to start your teaching adventure in Inner Mongolia’s exciting capital!